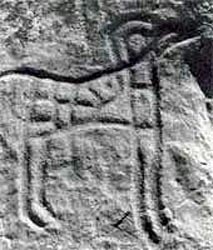 Near Birkot, a city where Alexander is thought to have fought one of his battles, are the Gogdara rock carvings composed of more than a hundred carvings. 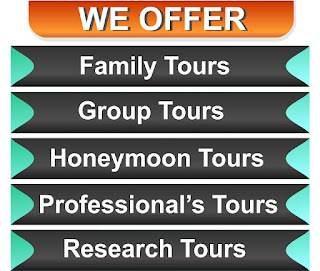 These depict humans driving chariots and show various animals. 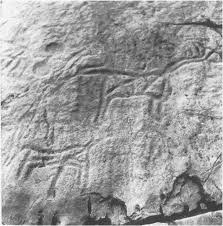 Most likely the Aryans drew them about 3,000 years ago. 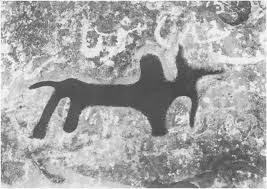 In the Swat valley, prehistoric petroglyphs found at Gogdara by G. Tucci in 1955, depicted wild and domestic animals and anthropomorphic representations (Tucci 1958: 291-92). 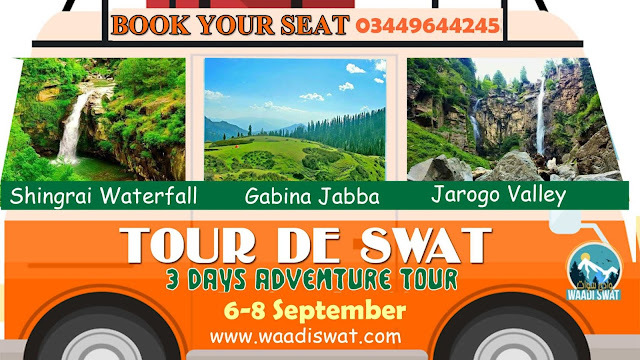 According to the excavator of the site,Gogdara rock presents 117 graffiti on the cliff surface. 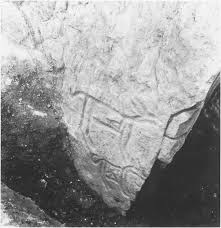 Among these 71 are animal figures, 17 represent objects, 29 unidentified graffiti whereashuman figure is completely absent (Olivieri 1998: 60-61). 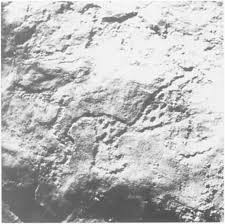 Prehistoric rock engravings have also been found at HathianoKandao (Khan 1983: 59). 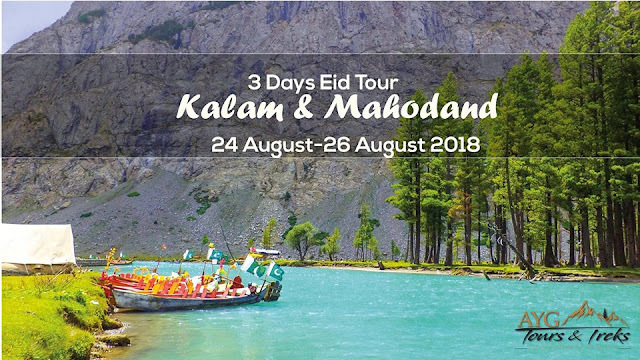 Numerous engravings of the site bear technical pecking similar to the engravings of Gogdara, although the animals depicted are different and dated to 2nd millennium BCE (Khan 1983: 60). 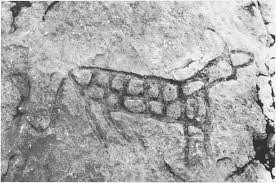 The most fabulous rock art research conducted by the Italian Archaeological Mission, Istituto Italiano per I’Africa e I’Oriente (IsIAO) in the area, reveals rock wall, caves with carvings, cup-marks and tank sites spread all over the Kandak valley (Olivieri and Vidale 2004: 121).